Jane Brox twines two narratives, personal and historic, to explore the place of the family farm as it has evolved from the Pilgrims’ brutal progress at Plymouth to the modern world, where much of our food is produced by industrial agriculture while the family farm is both marginalized and romanticized. 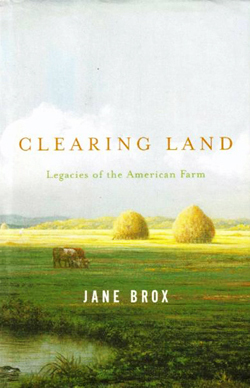 In considering the place of the farm Brox traces the transformation of the idea of wilderness – and its intricate connection to cultivation – which changed as our ties to the land loosened. Exploring these strands with neither judgment or sentimentality, Brox arrives at something beyond a biography of the farm: a vivid depiction of the half-life it carries on in our collective imagination.